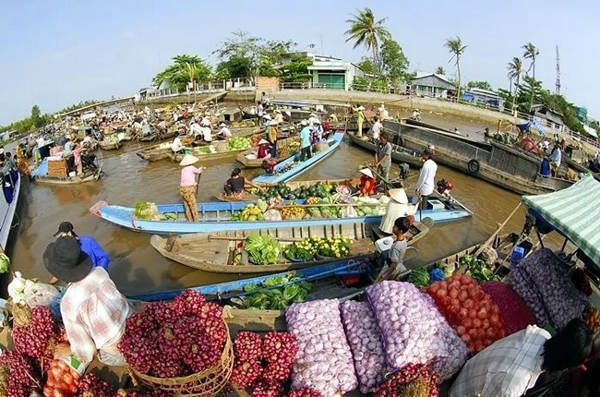 If you have found your way to Mekong Delta, you cannot afford to miss the Floating Market or “Cho Noi”. Floating markets in Vietnam have existed for a long time in the area. Basically, in here people sell and buy things above water. Actually, floating markets which have been around for a long time make the liveliest part of life in the south-west, the land of ditches, rivers and canals. cruise mekong delta For tourists who travel to Can Tho, metropolis of the south-west, it would be regretful if they could not drop by and purchase something in Cai Rang (6km from Can Tho city), one of the most famous and biggest floating markets in the Mekong Delta. Trading from boats brings interest to buyers when catching some sample of products that are thrown by sellers from other boats. 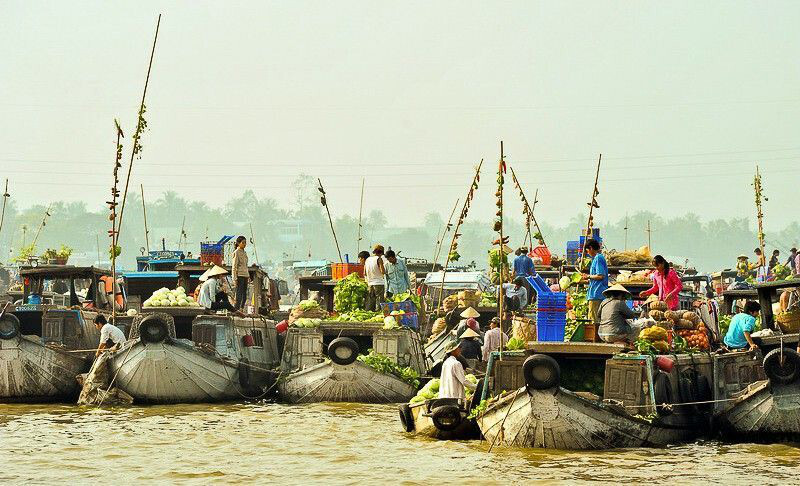 While shopping on boat, one can also enjoy see floating house of the locals along the riverside and fresh fruits. Every boat has a long upright pole with samples of the goods such as fruits, vegetable,… for sale hung on, so the sellers do not have to cry out what they are selling and buyers can easily see from the distance the goods sold on that boat. Just look up and ones can know exactly which boat selling the products they are seeking for. 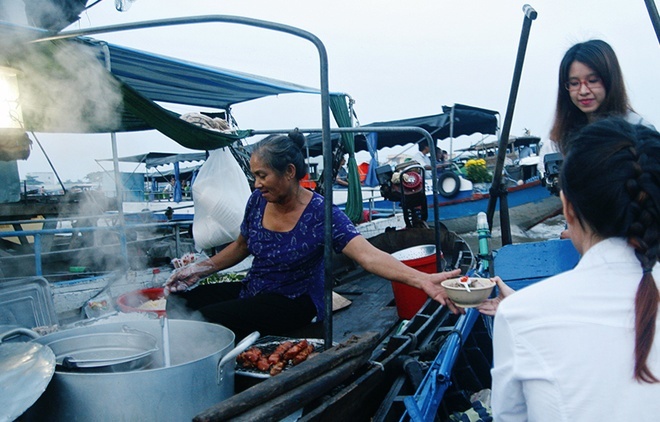 After watching the sun rising and enjoying local breakfast, one can charter either a motorized boat or a non motorized one to begin a morning shopping in floating market. Most of boats for charter are located along Vo Tanh road. The fee is purchased differently based on the kind of chartered boat.